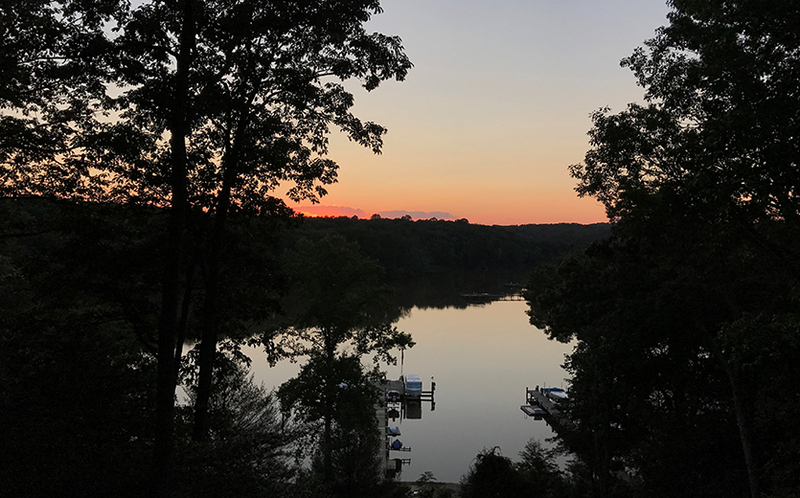 956 Indian Landing Road is a beautifully maintained waterfront home surrounded by lush greenery on the banks of the Severn River. 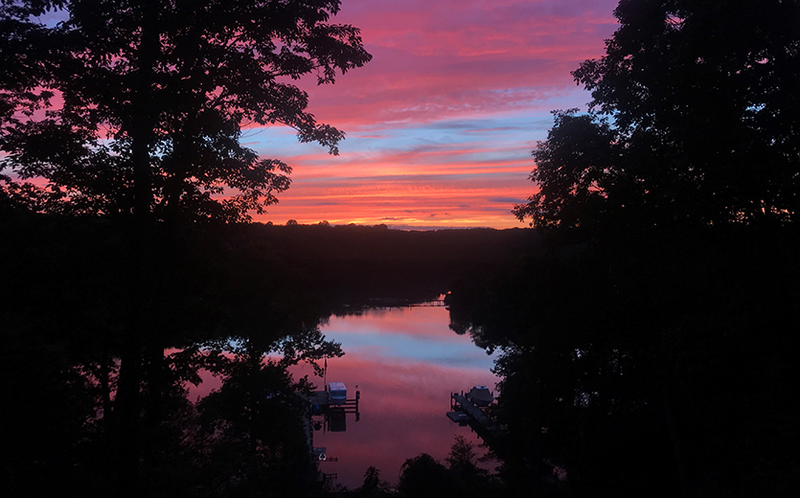 Enjoy serene sunset views from the waterside screened porch, or boat to downtown Annapolis from your private pier. 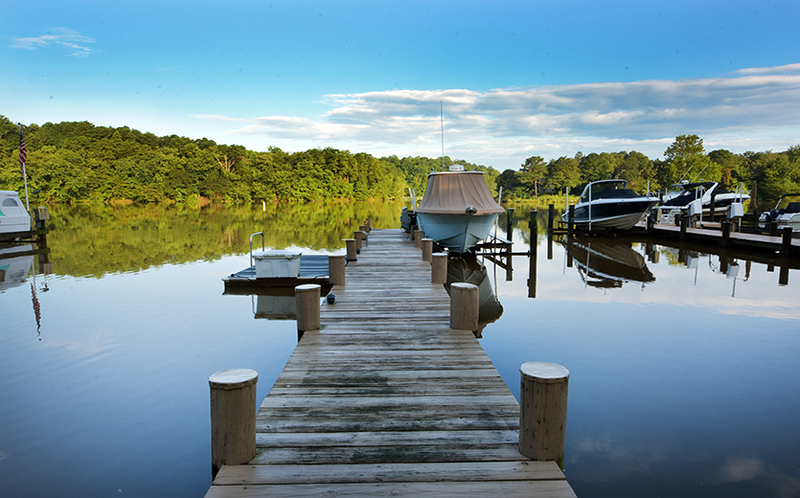 This tranquil setting is the perfect spot to enjoy the waterfront lifestyle. When you step inside the home, you are greeted by beautiful stone floors in the foyer, and a bright, two-story living room with warm hardwood floors. 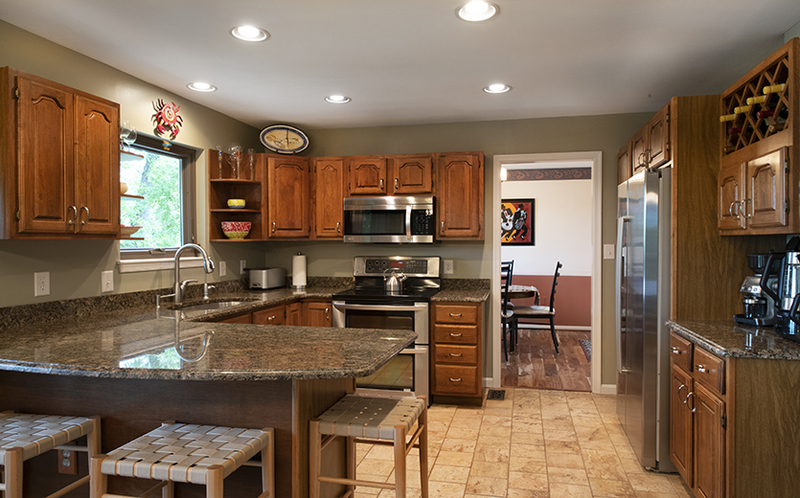 Straight ahead, the updated kitchen has granite countertops, stainless steel appliances, and custom shelving. 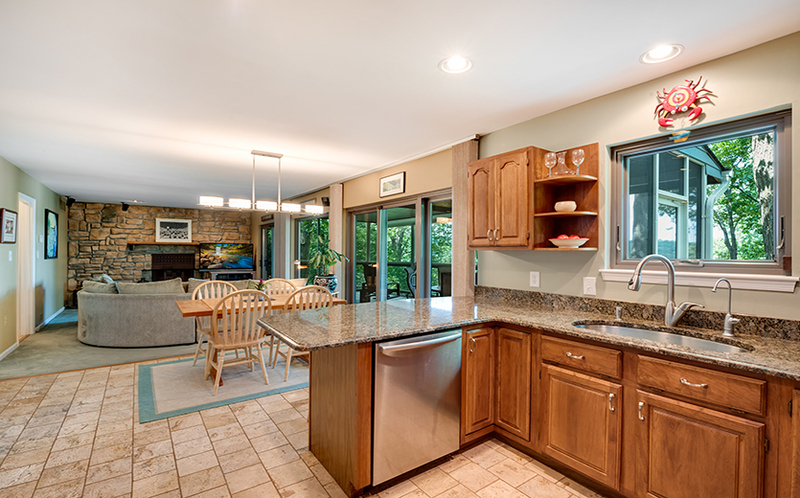 A breakfast bar has space for bar stools, and there is room for a kitchen table for informal dining. 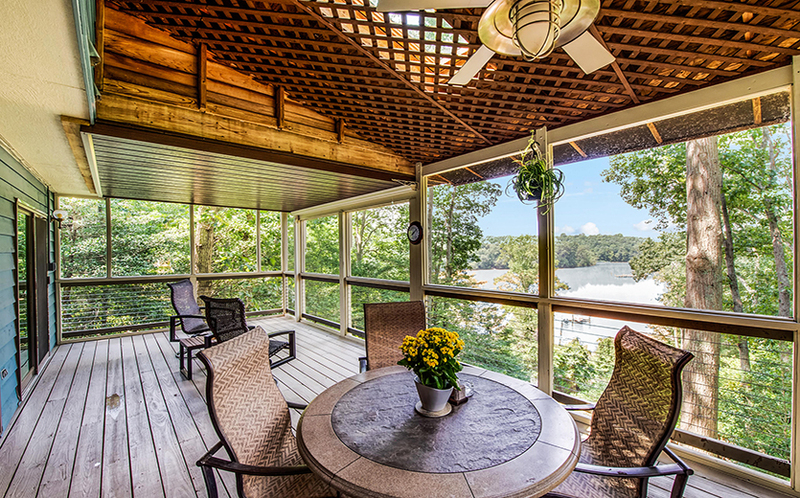 Sliding glass doors lead to the screened waterside porch – a perfect spot for comfortable outdoor dining with a view. 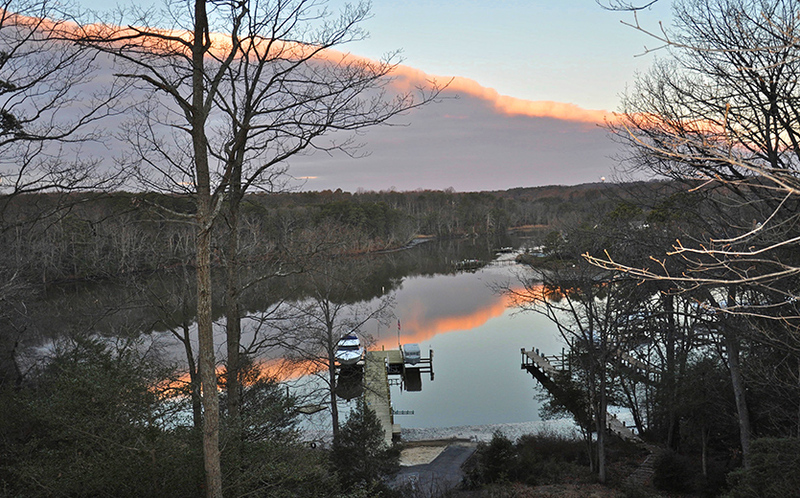 Just off the kitchen is the formal dining room, with hardwood floors and views to the water, and on the other side of the kitchen, the family room has a wood-burning fireplace set in an eye-catching stone wall with a slate hearth. 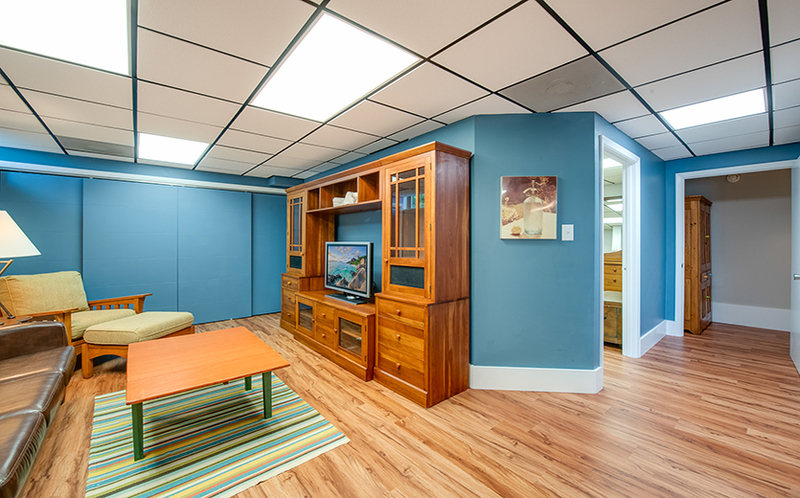 Open the sliding glass doors from the family room to the screened porch and bring the outdoors inside! 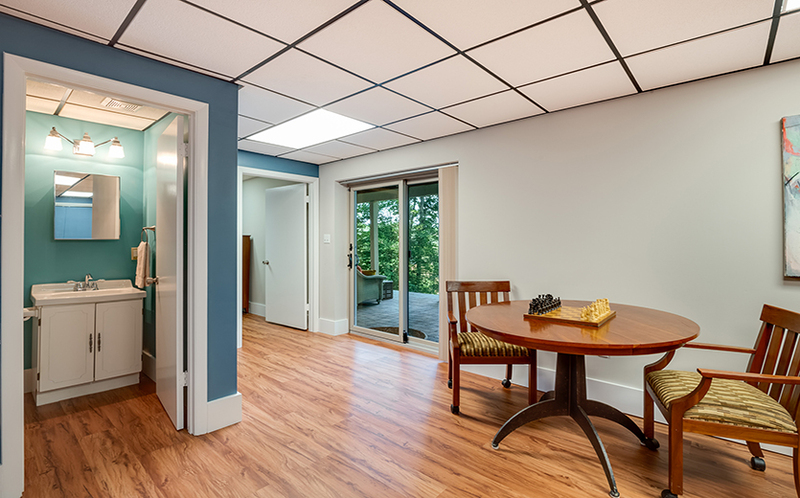 Also on this level are a powder room and pantry, as well as an oversized two-car garage with a recently replaced garage door and an epoxy-coated floor. 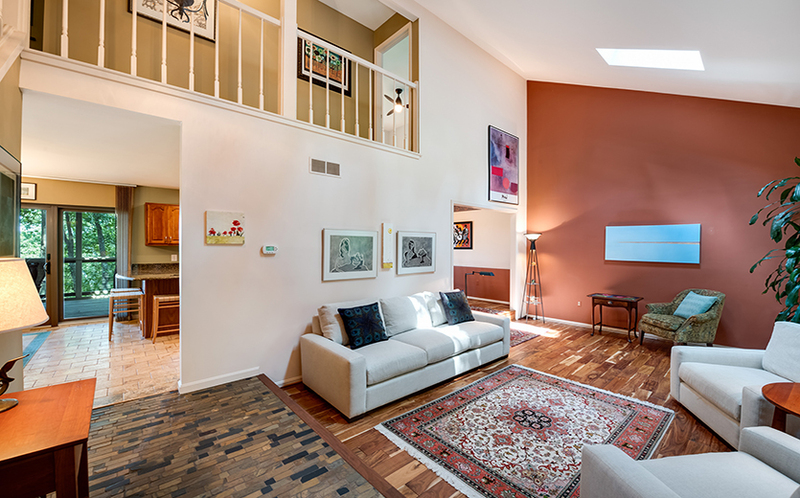 Upstairs, the open landing overlooks the two-story living room. 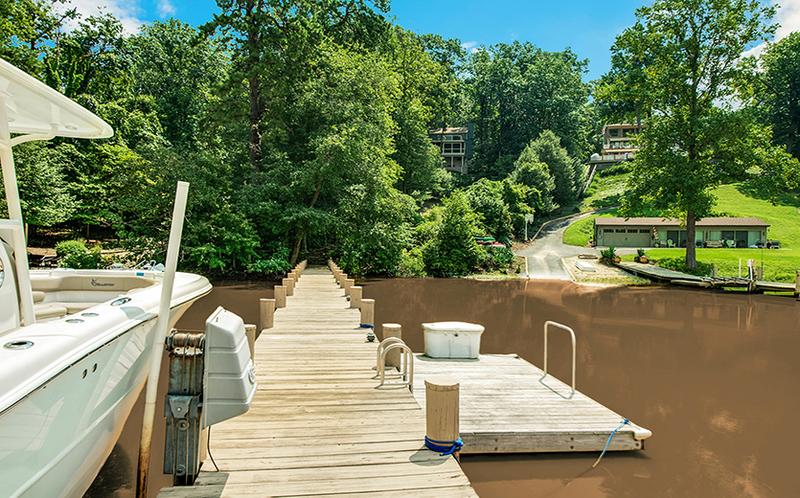 All three bedrooms on this level have waterviews, and two of the bedrooms share a full bathroom. 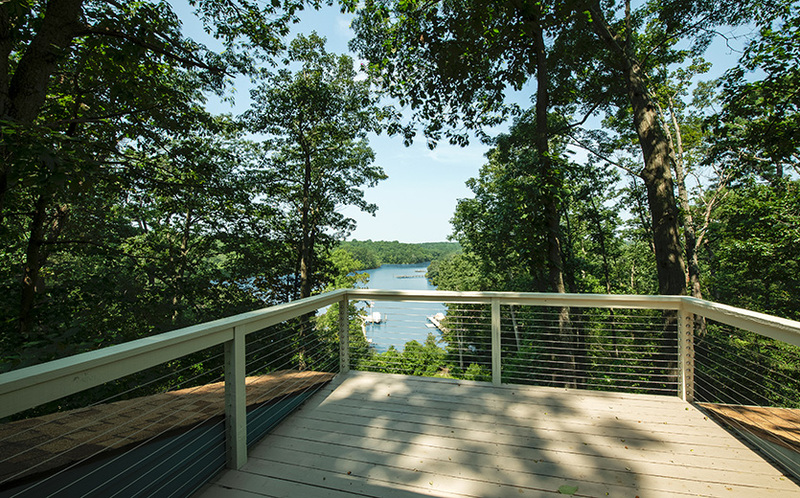 The master suite has sliding glass doors to a private deck – a peaceful spot to enjoy your morning coffee. 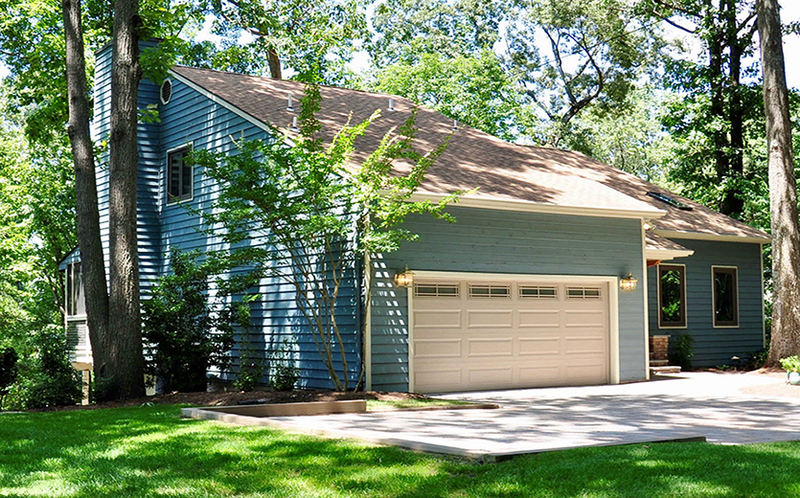 There is a separate sitting area, a custom walk-in closet that has attic access, and a recently updated master bathroom. 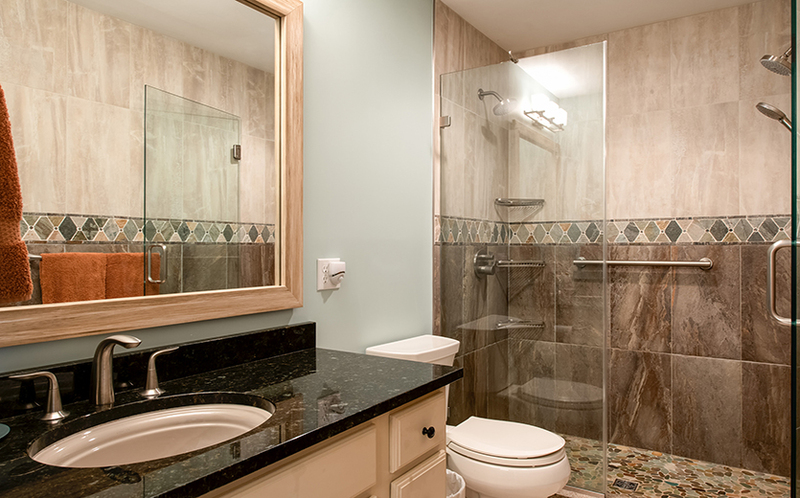 The master bathroom has separate granite vanities and a luxurious oversized shower with two shower heads and intricate stone tile details. 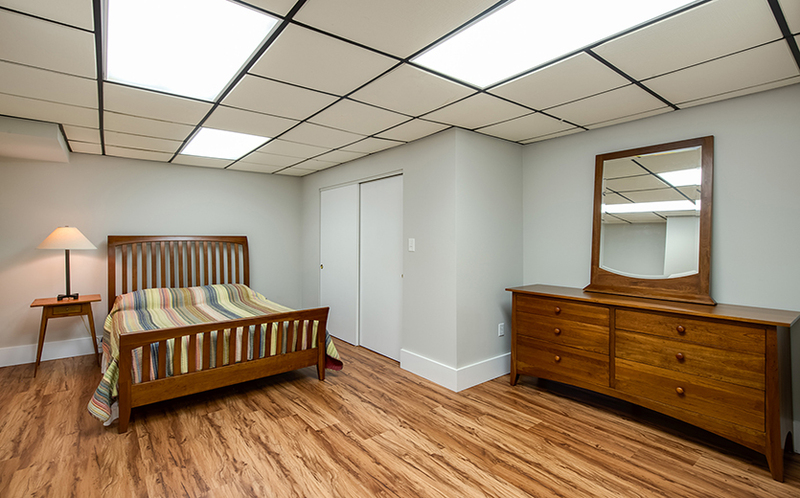 The fully finished terrace level is a perfect spot for your guests in enjoy some privacy, with a full bathroom, fourth bedroom, and a second family room. There is an abundance of storage on this level, and sliding glass doors step out to a covered terrace with water views. 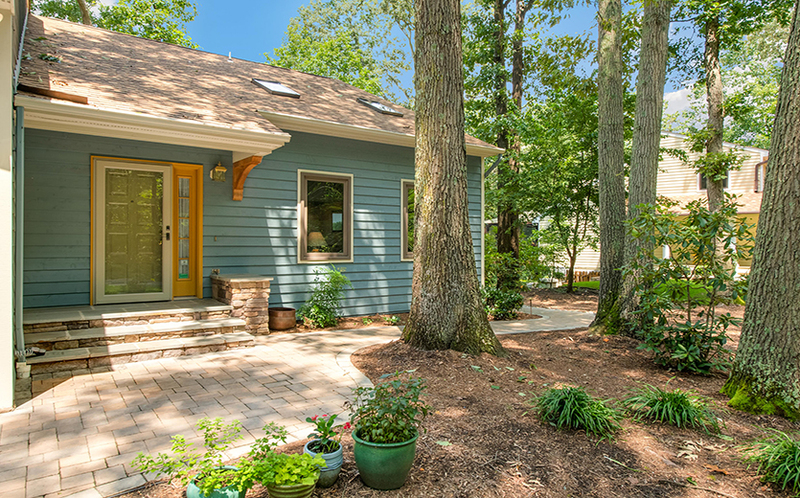 This spectacular home has been lovingly cared for and is move-in ready! 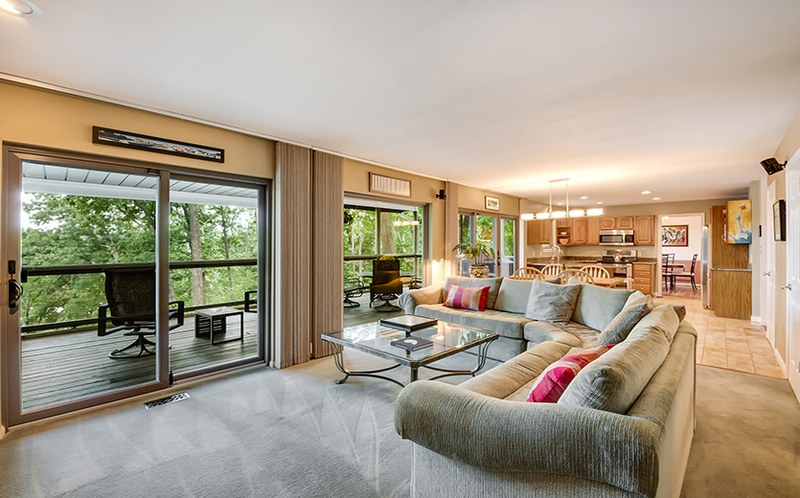 The sliding glass doors along the waterside of the main living area allow you to bring the outdoors inside! Open floor plan is great for entertaining. 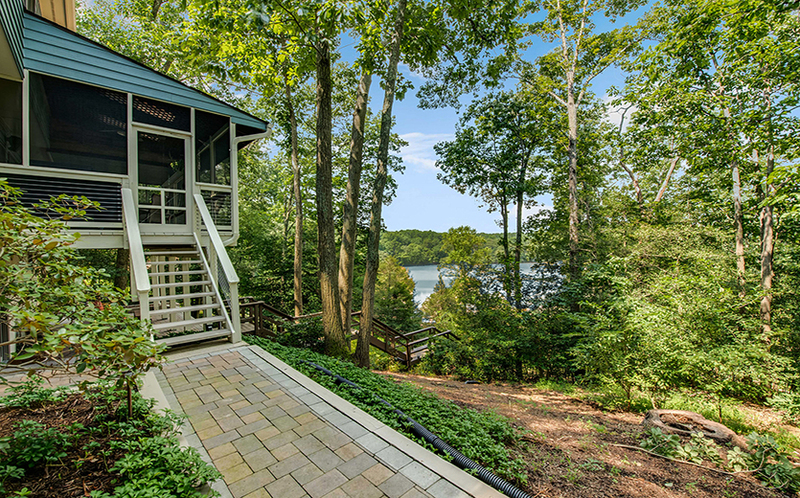 There is informal dining space in the kitchen and sliding glass doors to the screened-in porch overlooking the water. 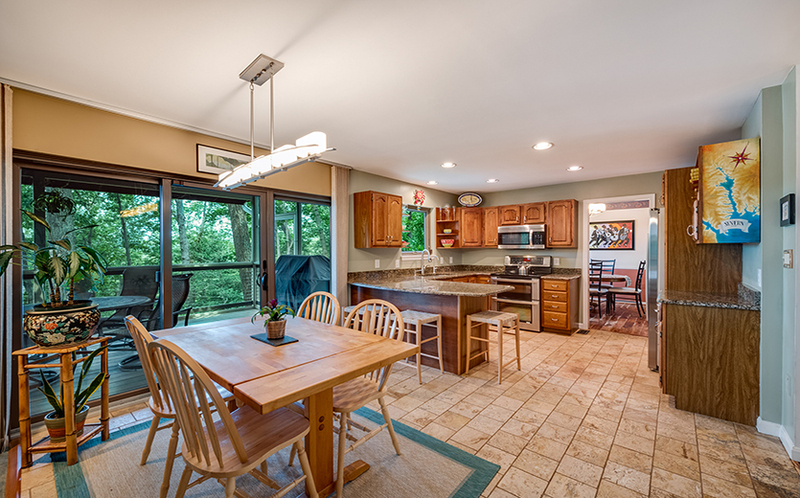 The updated gourmet kitchen has granite counters, stainless steel appliances, and a breakfast bar. 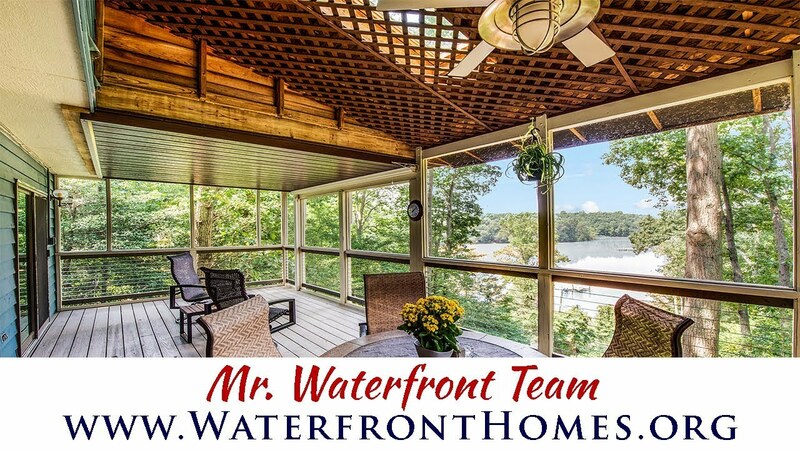 The open floor plan flows seamlessly and allows for lots of natural sunlight and stunning waterviews throughout the home. 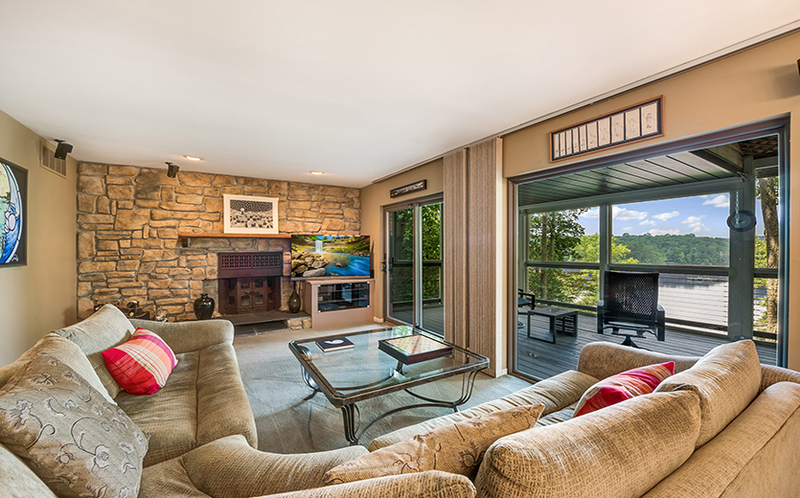 The family room has a wall of windows overlooking the water and a wood-burning fireplace with stone surround. 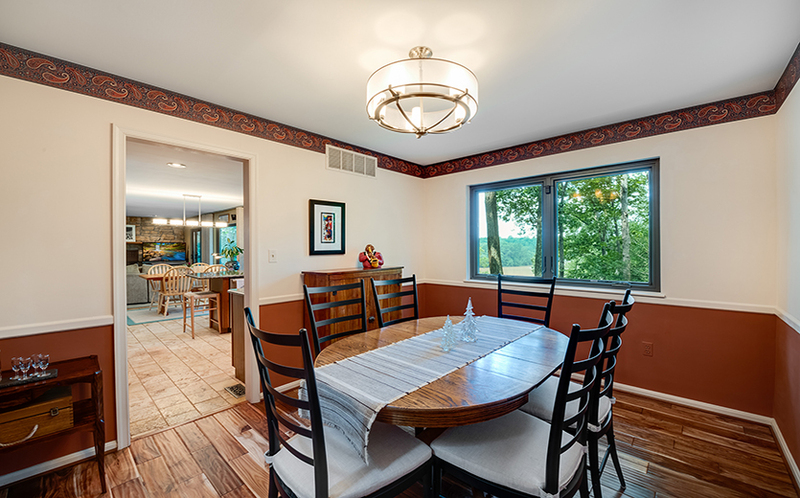 The dining room has water views and gorgeous hardwood floors. 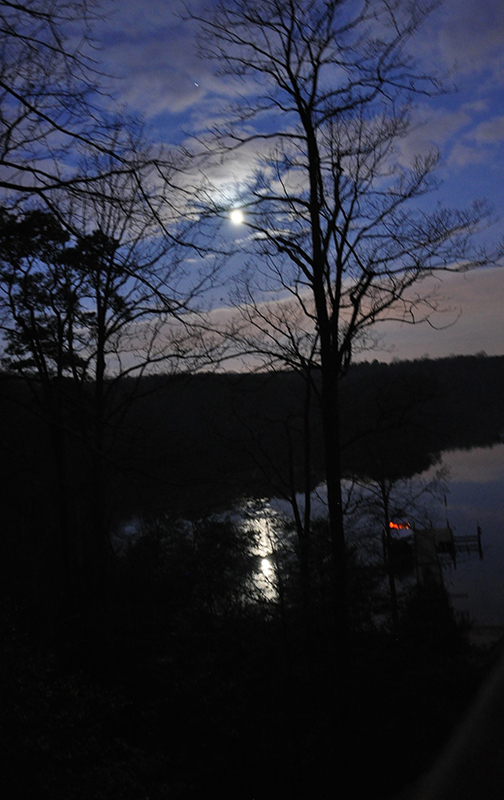 The screened waterside porch is a comfortable spot for outdoor dining or watching the sun set over the water. The entrance to the home features a dramatic two-story living room with skylights. 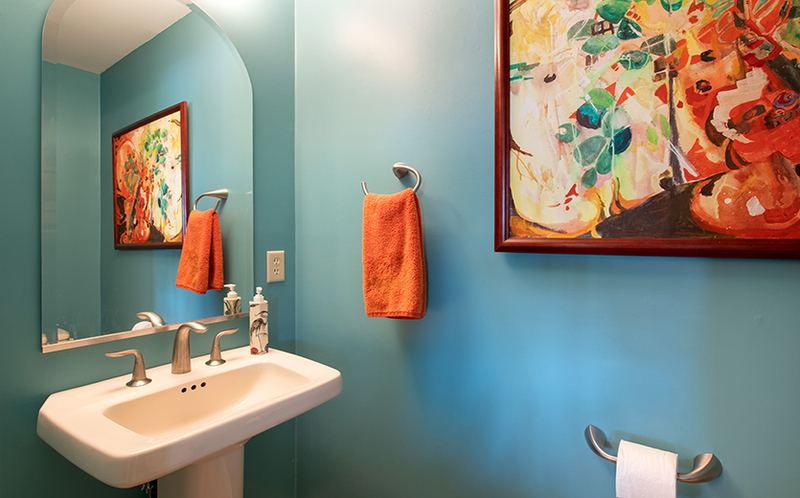 Powder room on the main level has been updated. 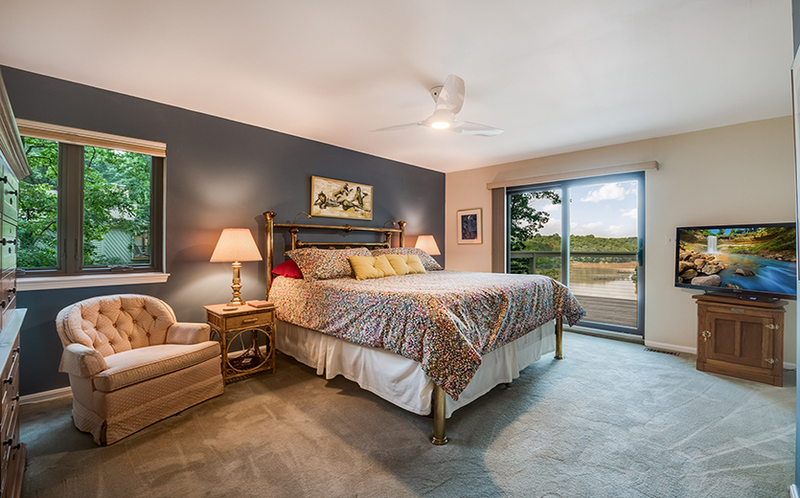 The master bedroom has sliding glass doors to a private waterside deck. 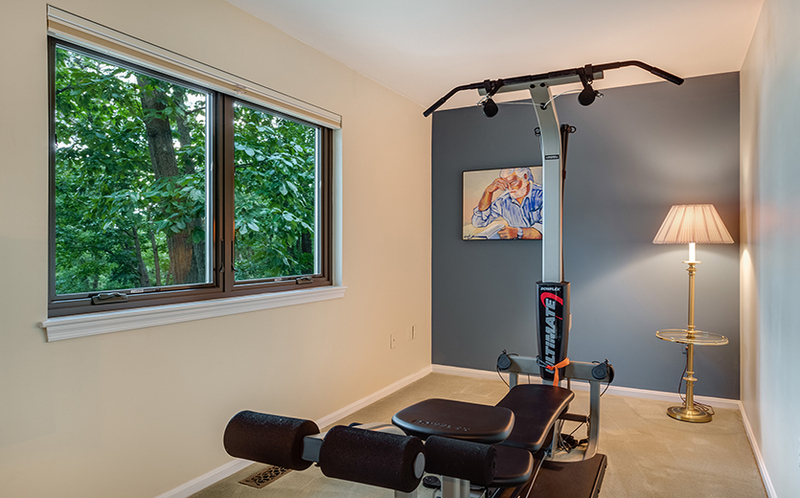 A sitting area in the master bedroom is a great spot for exercise equipment or private living space and has stunning waterviews. 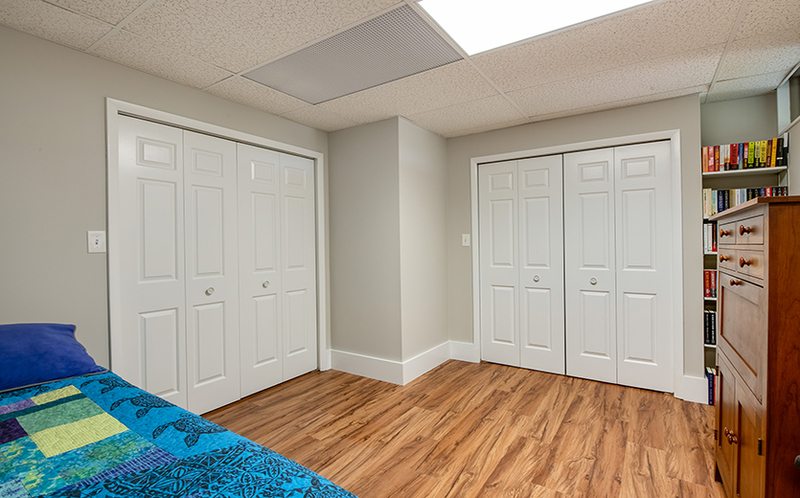 A large walk-in closet in the master bedroom has custom shelving for two. 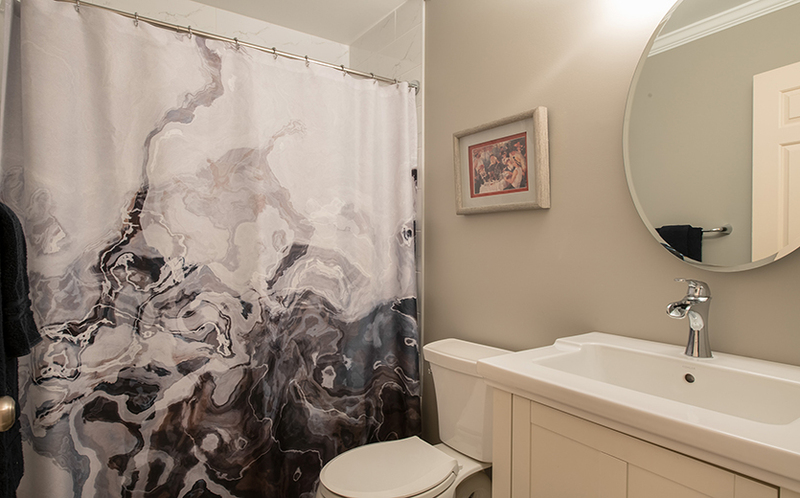 The updated master bathroom has a designer over sized shower with two shower heads. 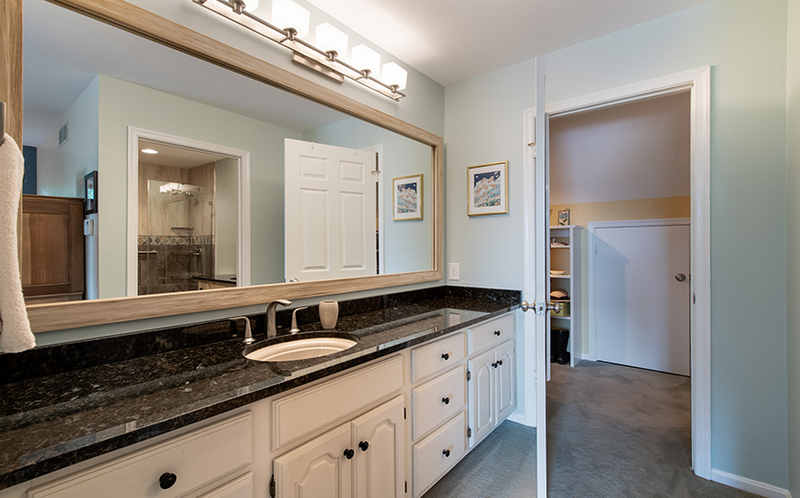 Both master bathroom vanities have granite counters and custom lighting. 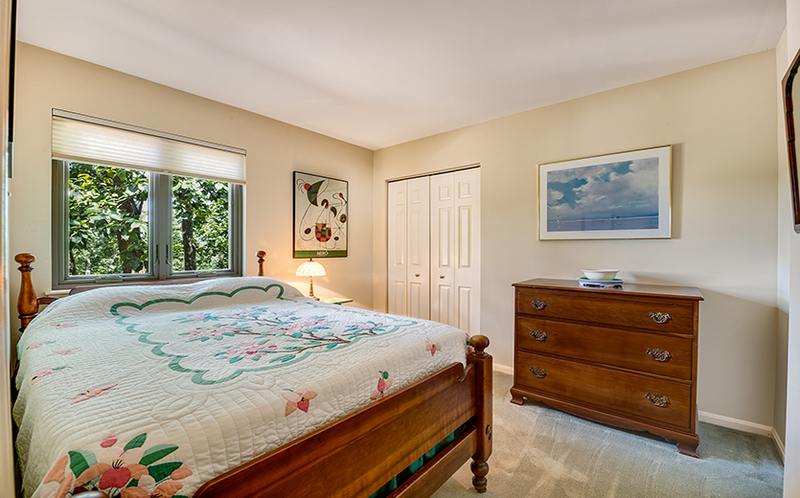 The second bedroom on the upper level overlooks the water and private wooded yard and has lots of natural light. 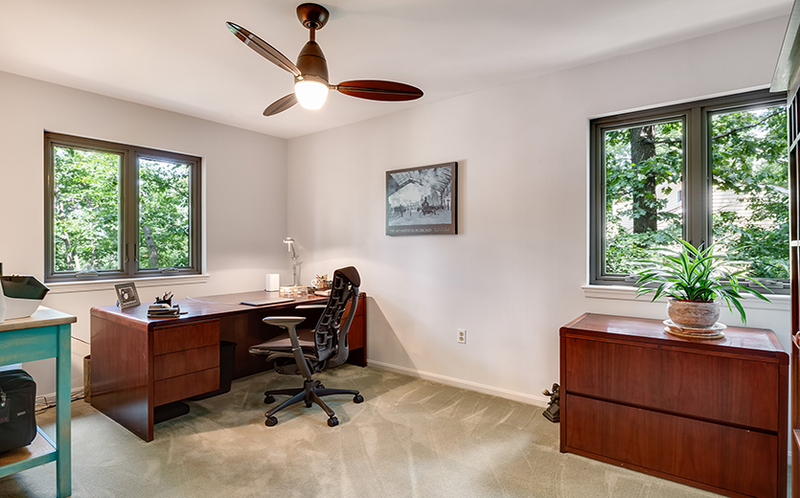 The third bedroom on the upper level overlooks the water and is currently used as a home office. 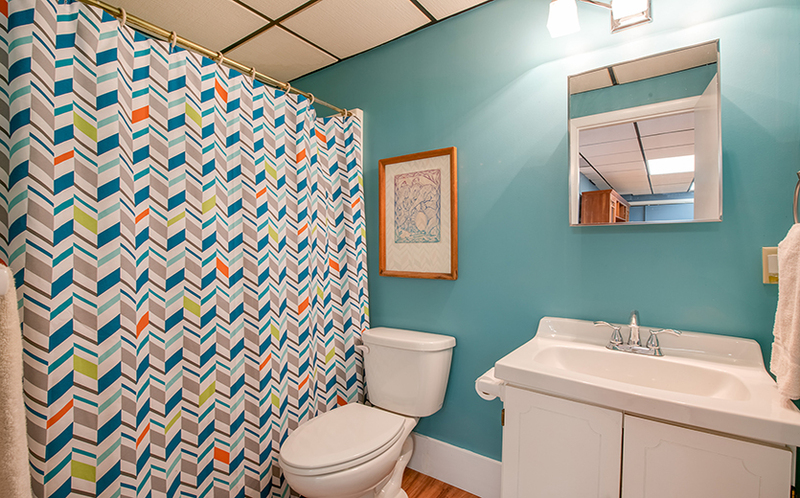 The two bedrooms on the upper level share a full bathroom. The terrace level has three large rooms and access to the waterside terrace. 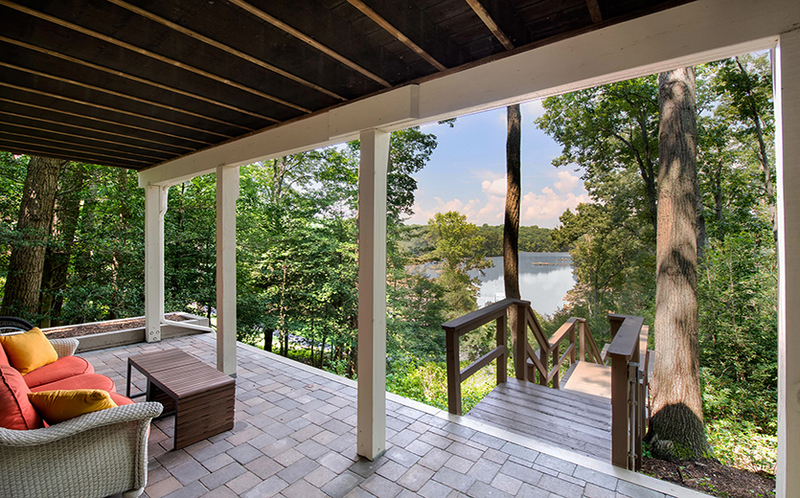 The fully finished terrace level has sliding glass doors to a waterside terrace. 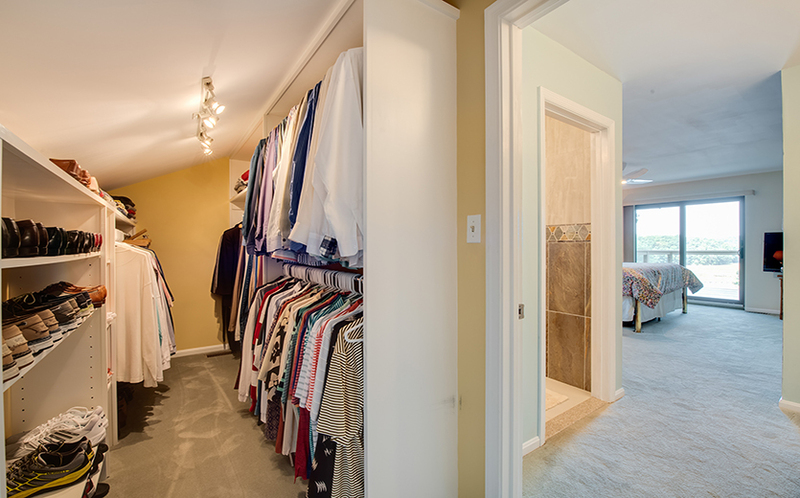 The terrace level has a fourth bedroom with a huge wrap-around closet. There is a full bathroom on the terrace level. 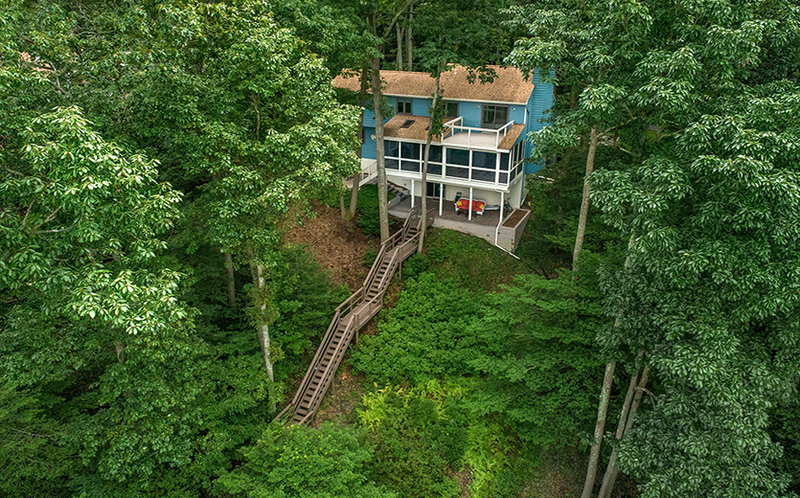 Waterside aerial view of this Severn River home.